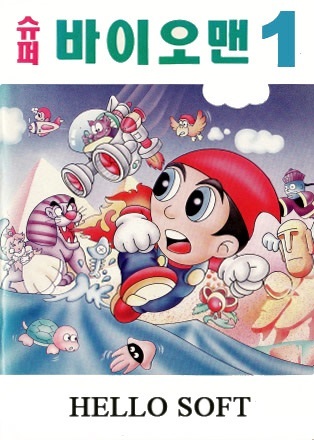 Is that Power Bubble Bobble different than the other Bubble Bobble clones from Korea? How do you know it works on MSX1? I think This is the same that the following Sega Mark III version. If this was the MSX2 version from Taito the Megarom symbol would be indicated. The symbol is that it is an ordinary Rom. But it is possible that I am wrong. It's quite possible... I first thought it might have been one of the other "Boggle Boggle" clones like Super Boggle Boggle. Also mentioned in that article, by the way. There are some details that tickle me on Generation MSX. There is some confusions about Korean games. About the cartridge at the bottom of the page below. 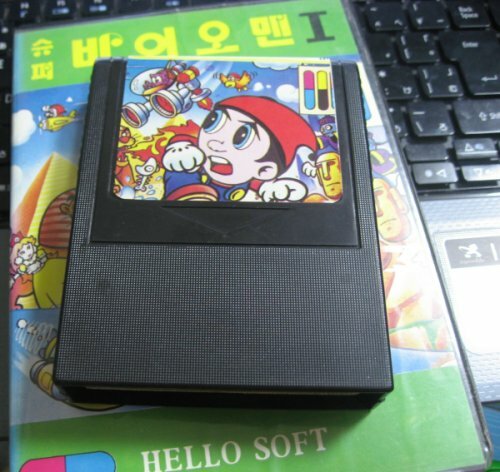 This is a DIY cartrige that contains the dump of "Super World 30" by Screen Software. The Rom mapper has been modified to SCC mapper. "Super World 30" seems to be also released by Daewoo (the yellow cartridge included with some Zemmix). Another thing, I think that the scan of the box is that of SMS.